Wonderful World of Meeroos® | What will you discover? 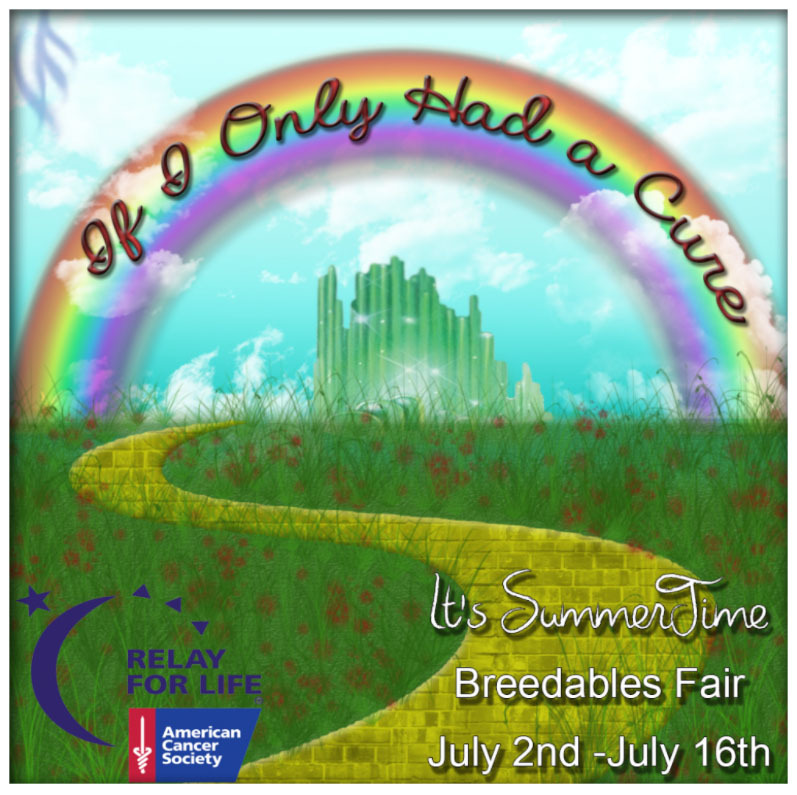 If you haven’t had a chance to get to this years 2014 RFL Summertime Breedables Fair its not to late, just follow the yellow brick road to any of the Second Life SLurls below. Today is also the GRIDWIDE OOAK AUCTION FOR RFL so don’t miss out. 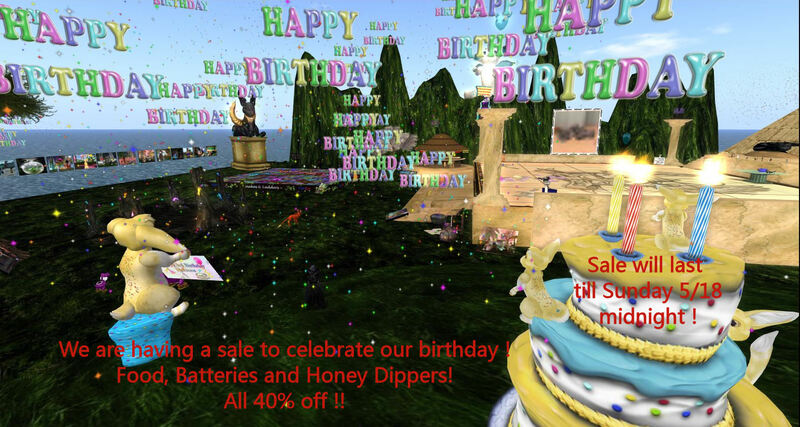 Oops, my bad, batteries and honey dippers are 50% off !!! Hope to see you all at the party at 12 noon SLT Saturday, May 17th ! Read more about WEEKEND BIRTHDAY SALE !! Happy 3rd Birthday Meeroos !! Happy Birthday To Roo .. Happy Birthday To Roo .. Happy Birthday, Dear Rooooooooooooooooos .. Happy birthday To Roo! 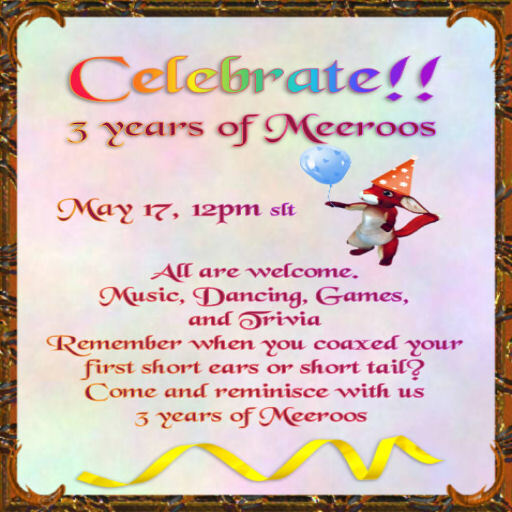 Read more about Happy 3rd Birthday Meeroos !! Meeroos Spring Fling and Hunt going on now! Flowers of red, yellow and blue all on Roo sim waiting for you! 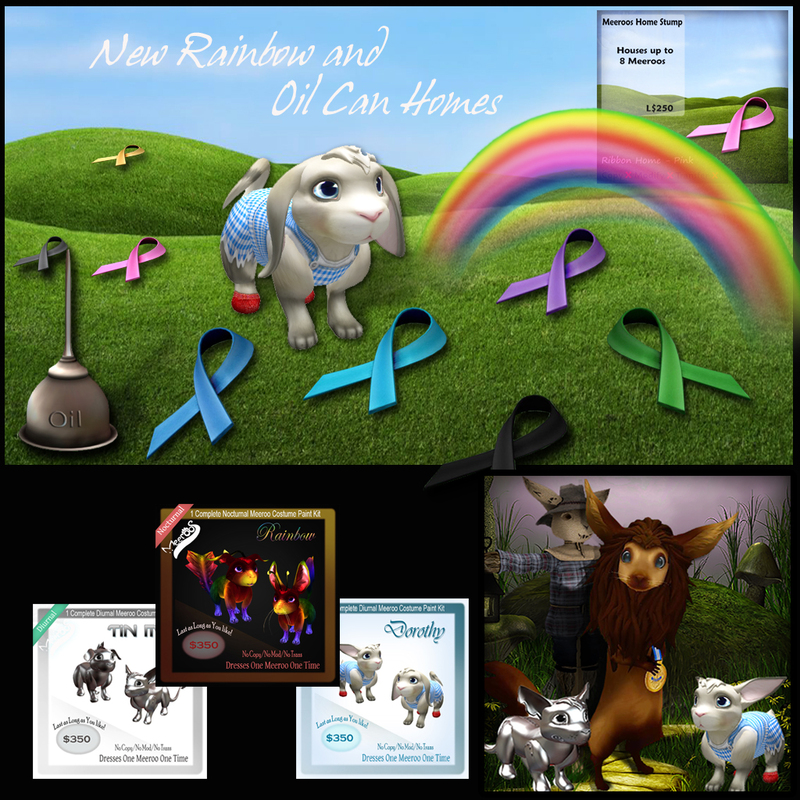 Homes and paint sets all brand new, cute ones, funny ones and pretty ones too! 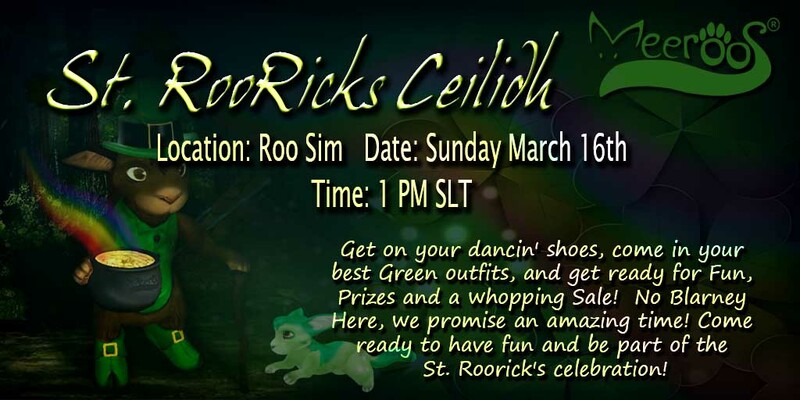 So make sure you hop on down to Roo sim and see all of the new Spring Rootastic items made just for you! 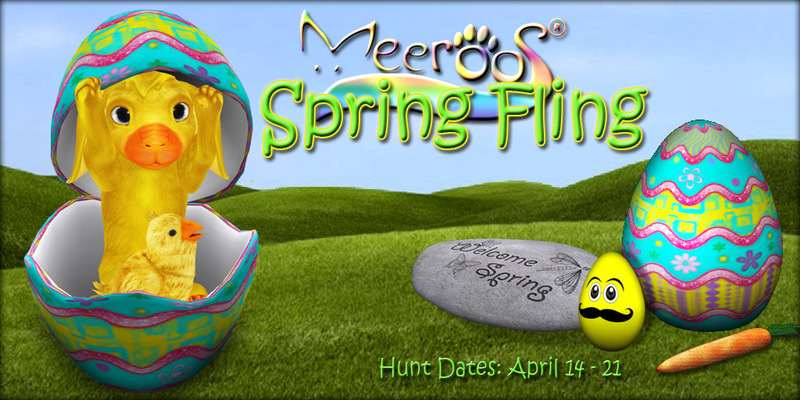 Read more about Meeroos Spring Fling and Hunt going on now! Break out the pints, get on your green, search out those clovers .. It's time to Party!! 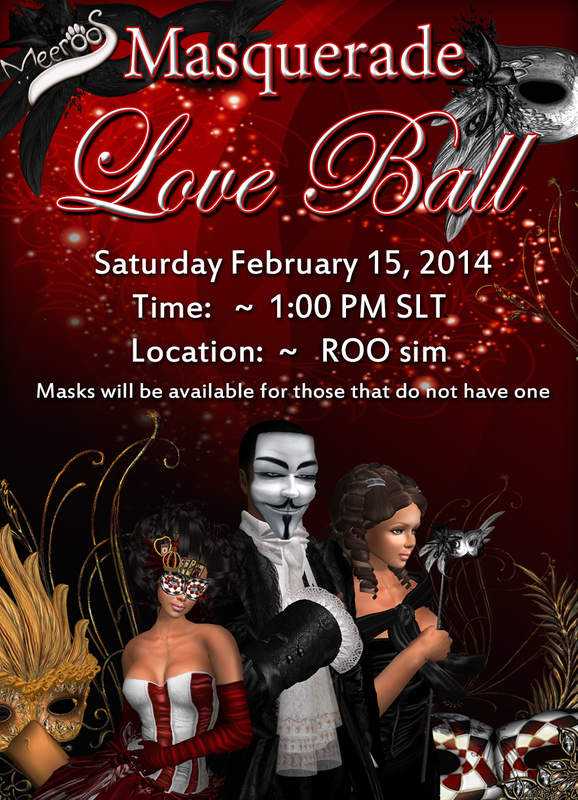 Time to get those gowns, suits and Mask's out for our Masquerade Love Ball! Rockin' in the New Year.. Roo style! Party time everyone! We know it's after the New Year but we figured with everyone's busy schedule we'd give you time to settle in before we throw our big 50's themed New Year's party! 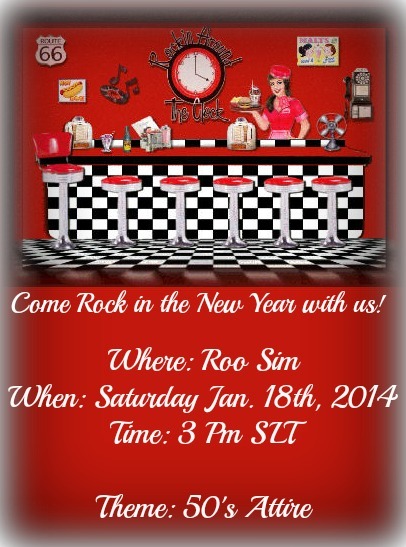 Read more about Rockin' in the New Year.. Roo style! In the past several days, we have had an enormous amount of tickets from people not getting the drop option when wanting to drop a meeroo. At this time, we are asking you to notify LL of these problems, so that they will do something about it. Read more about 'Tis the season! 2. .:: Legendary Meeroos ::. 1. .:: Legendary Meeroos ::. © Copyright 2010-2015 Wonderful World of Meeroos®. "Second Life" and "SL" are trademarks of Linden Research, Inc. This website is not affiliated with or sponsored by Linden Research.